Making use of an Active/Active (read enabled) SAP HANA database in SAP S/4HANA part 5: Where was my data read from? 5. Where was my data read from? how the client’s intent is converted into SAP HANA database hints. 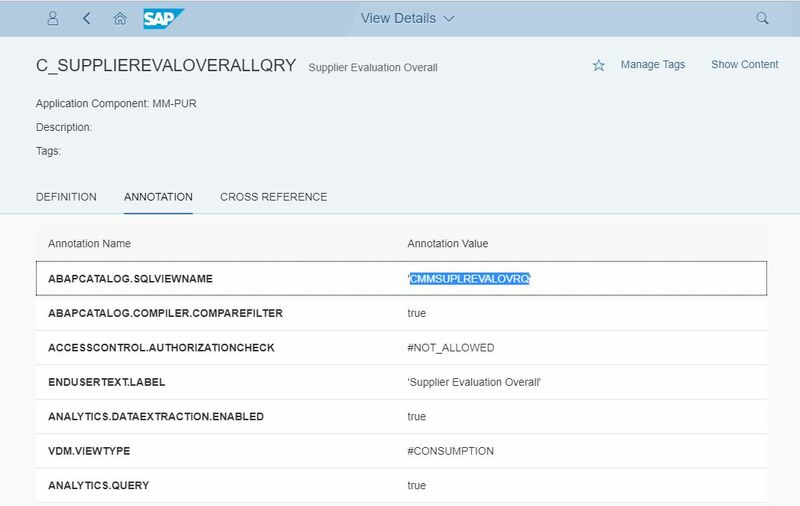 Once you are implementing SAP S/4HANA and want to make use of the Active/Active (read enabled) configuration, you probably will ask yourself if there is an option to verify where the data was read from, the primary SAP HANA database or the secondary SAP HANA database. Find out how to relate the calls made by your app to the resulting SQL select statements in SAP HANA. 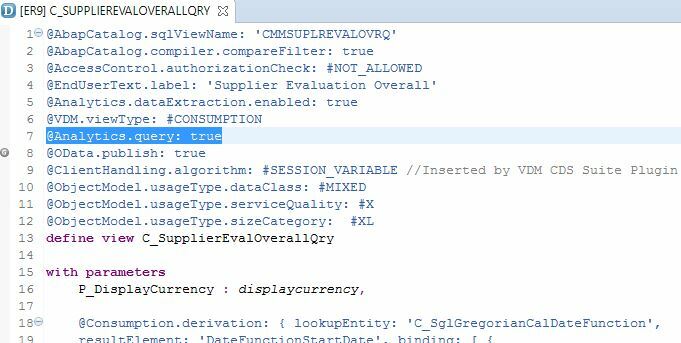 Find the SQL select statements in SAP HANA. This part of the blog series is a bit longer and more technical than the other parts. I try to keep it as simple as possible and concentrate on the important aspects. Like always, questions and feedback are welcome. Access to the view browser app Optional I also will show how to get the related information directly from SAP HANA or in the ABAP development tools. However, it is more convenient to display the ABAP CDS views in the view browser app. Access to SAP HANA primary database Mandatory You need to execute selects in the SQL console, either from SAP HANA studio or SAP HANA Web IDE. Access to SAP HANA secondary database Mandatory You need to execute selects in the SQL console, either from SAP HANA studio or SAP HANA Web IDE. Well, SAP has enabled a first set of applications for reading from the secondary SAP HANA database. These are listed in SAP note 2405182 . You may simply select SQL statements in SAP HANA by one of the methods described in chapter 5.3, restricting your select by the execution time. But in a busy system this will give you a long list of select statements, making it hard to decide which is the call you are interested in. 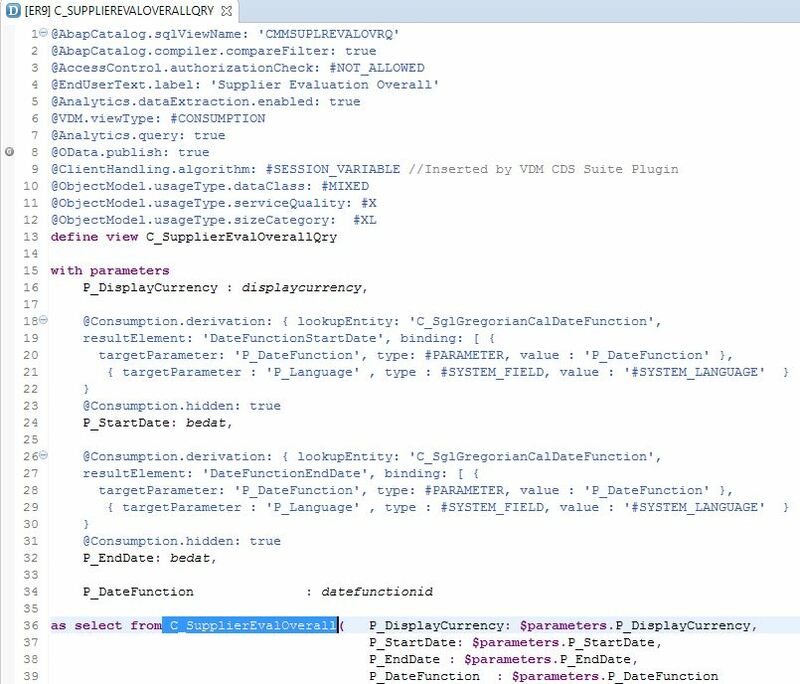 Your end user actions in the analytical app results in SQL select calls against a so called CDS view in ABAP, which causes data being read from the CDS view representation in SAP HANA. CDS stands for the Core Data Services, SAP’s approach allowing to define a semantical rich business data models and services built on top. So a pragmatic way is to find the statements caused by your app via the name of the CDS view. 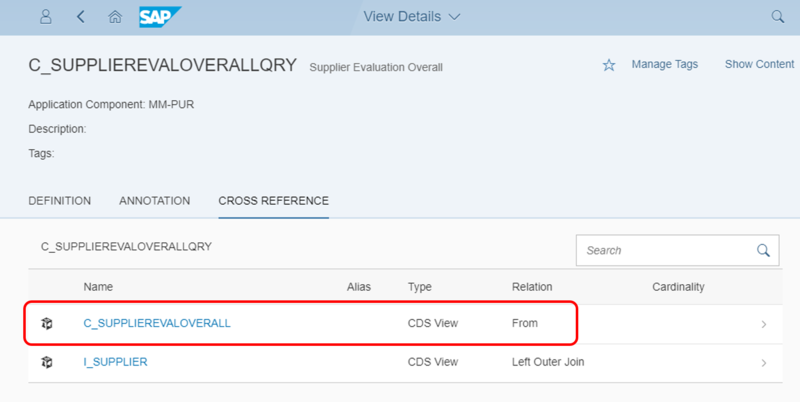 Take into account that there a two names for the CDS view: The name of the CDS view as ABAP entity, and the name of its representation on the HANA DB (SQL view or HANA table function). For SAP Fiori apps, I can use the F12 browser tools to inspect the http calls which are sent by the UI to the backend. In the http calls I find the ODATA service name, from which I often can deduce the ABAP CDS view name. The following description is for the Google Chrome browser, it is similar in other browsers. Launch the SAP FIORI Launchpad containing the app in the browser. Press F12. The developer tools of the browser opens. Make sure that in the developer tools of the browser, you are in the section for the network traffic. Execute a step in your app (e.g. navigate to a drilldown or do a selection. In the list of calls, I scroll down to the $batch call (there may be more than one). Have a look at the header section. Find the ODATA service name after the string ‘/sap/opu/odata/sap’. In the example, the ODATA service name is C_SUPPLIEREVALOVERALLQRY_CDS. The corresponding CDS view name is the same w/o the sufiix ‘_CDS’: C_SUPPLIEREVALOVERALLQRY. Note that there are exceptions, where the ODATA service is named differently, and hence the CDS view cannot be easily deduced. However, in a plenty of cases the described deduction of the CDS view should work. Having now found the name of the ABAP CDS view, I should take into account that the corresponding entity in SAP HANA has a different name. I find the SAP HANA entity name by either inspecting the view definition in the view browser app, or by inspecting it directly in the ABAP development tools, or by a select in SAP HANA. 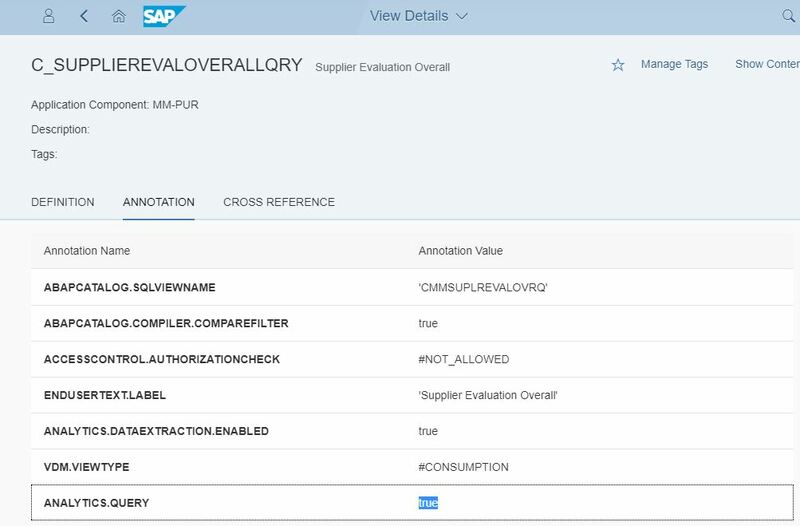 In the example above, the HANA entity name is CMMSUPLREVALOVRQ. Often, the ODATA service for an analytical app is a so called analytical query view. Inside the analytical query view, another view, a cube view is called. And the cube view is the one from which finally data is selected in SAP HANA. So how to find out if the CDS view in the ODATA service is an analytical query? I find out if it is an analytical query by either inspecting the view definition in the view browser app, or by inspecting the view definition in the ABAP development tools, or by a select in SAP HANA. This statement will return value = true if the view is an analytical query, or no result if it is not an analytical query. I find the cube view by a select in SAP HANA. In the example above, the cube view name is C_SupplierEvalOverall. Note that this is the ABAP CDS view name. See above how to deduce the HANA entity name for this! I copy the obtained definition into an editor, search for ‘from’ and read the cube view name after ‘from’. Note that by this method I get the HANA entity name of the cube view. With this, I now read the statements executed in SAP HANA. I may use the SQL console of SAP HANA studio or SAP Web IDE. I just try to read the statements separately on both SAP HANA databases, the primary and the secondary HANA database. The one where I find the statements, is the one where the select was executed. My preferred way to find executed SQL statements in SAP HANA is the evaluation of the SQL plan cache. But what is the SAP HANA SQL plan cache? Well, the HANA SQL optimizer creates (compiles) optimized execution plans for each select statement. SAP HANA stores the execution plans for a while and reuses them for the next call. This storage of compiled plans is the SAP HANA SQL plan cache. As an advantage, the SQL plan cache is switched on by default and no special configuration is required. As a disadvantage, I get the SQL statements w/o parameter values. For my current goal (to find out where the statement was executed), this is not really an issue. Since the lifetime of the SQL plan cache records is limited, I should read the plan cache soon after having used your app. So I clearly see the executed statements executed by my app, and the execution_count increases when the statement is executed on the same SAP HANA database again. Note that the user in the USER_NAME column is not my business user, but the user finally calling from the ABAP server into the SAP HANA database. As an alternative, I may activate the SAP HANA expensive statement trace on both SAP HANA databases, the primary and the secondary database. After having activated the SAP HANA expensive statement trace, I run my app from the end user UI and execute typical steps. Then I should deactivate the SAP HANA expensive statement trace again. See here how to activate the expensive statement trace. Also with this, I simply have to select on both, the primary SAP HANA database and the secondary SAP HANA database, and clearly see where the statements were executed. realy a great blog series! Congratulations!